October 30, 2015 - The Saddleback Canyons Conservancy is part of the "Save the Specific Plans Coalition” urging 3rd District Supervisor Todd Spitzer to rescind the SaddleCrest amendments that have gutted the Foothill-Trabuco Specific Plan and watered-down all specific plans in the county. The coalition has met with the supervisor and has retained a law firm to provide him legal basis that no complex environmental analysis or documentation is needed to reverse the damaging amendments that were approved before his term in office. March 14, 2015 – Santa Ana, CA. The 4th District Court of Appeal has reversed a widely praised 2013 Superior Court decision that tossed approval of the controversial Saddle Crest development near Cook’s Corner in Trabuco Canyon. The Saddle Crest project, supported and approved by then 3rd district county supervisor Bill Campbell, along with its general plan and specific plan amendments, was challenged by Saddleback Canyons Conservancy, Rural Canyons Conservation Fund, Friends of Harbors, Beaches and Parks, National Audubon Society, and California Native Plant Society for its impacts to sensitive natural resources and the defining rural character of the area. In August 2013, Superior Court Judge Steven L. Perk agreed with the coalition of citizens’ and environmental groups, calling the board of supervisors’ decision to approve the environmental impact report and amendments to the general and specific plans to accommodate the 65-unit, 113-acre project arbitrary and capricious. Developer Rutter Santiago LP, which owns the property and other large parcels in Trabuco Canyon, appealed the decision, while the county bowed out of the appeal. The appellate court reversed the decision this week, uncritically endorsing the developer’s multi-pronged attack on the Foothill Trabuco Specific Plan (FTSP), enacted in 1991 to protect Trabuco Canyon’s rural character and scenic natural resources. The amendments legitimize Saddle Crest and future destructive projects unable to pass muster under the original FTSP, repealing limits on housing density and landform destruction, and allowing destruction of any oak, even mature ones with trunk diameters over three feet, if a developer-hired arborist decides the oak won’t survive transplantation. In the case of Saddle Crest, that loosened restriction means that over 150 oaks will be destroyed to make room for the dense subdivision. Grading standards for the sensitive area are also gutted. Under the original FTSP, the mass grading proposed for Saddle Crest was prohibited, but the new rules allow supervisors to override grading limits in their discretion. Saddle Crest will move at least 1.9 million cubic yards of earth, far exceeding previous limits, and the open space dedication required by the specific plan can now include graded areas between streets and rows of houses. The court also let stand the developer’s change to the Orange County general plan that allows the board of supervisors to balance goals and objectives of the general plan and any specific plan if they decide that the project before them is in “overall harmony” with the plans. In Saddle Crest’s case, this means that a dense suburban-style tract subdivision adjacent the Cleveland National Forest and a two-lane scenic highway is acceptable. Perhaps most ominous is the change to traffic analysis methodology for Santiago Canyon Road, an uninterrupted 12-mile stretch and one of the last scenic highways in Orange County. Under the method mandated by the general plan before the developer-instigated rewrite of the rules, traffic generated by the Saddle Crest project on Santiago Canyon Road failed the impact standard. With the new method, traffic generated by the project suddenly falls within the acceptable range, an impact that the Superior Court agreed was disguised by the new methodology. Saddle Crest will generate 780 additional daily trips on the accident-prone scenic corridor. The groups are evaluating options as they continue their work to protect Orange County’s diminishing natural resources and quality of life in the rural canyons. Showing consistency with other land use decisions in Trabuco Canyon, in July 2013, Orange County Superior Court Judge Steven L. Perk ruled in favor of a coalition of community and public interest groups, upholding important planning documents and rejecting the County’s approval of the controversial 65-unit housing tract known as Saddle Crest that would have bulldozed pristine hillsides and wiped out majestic oak forests along rural Santiago Canyon Road north of Cook’s Corner. Saddleback Canyons Conservancy, Rural Canyons Conservation Fund, Friends of Harbors, Beaches and Parks, National Audubon Society, and the California Native Plant Society were the plaintiffs in this most recent case. “Although our elected officials completely let the public down by approving this project and the disastrous Plan amendments, Judge Perk's thoughtful review and ruling restore environmental protections so that the rural canyons can continue to be a special place in Orange County,” said Gloria Sefton, co-founder of Saddleback Canyons Conservancy. In a single unanimous decision in October 2012, Orange County Supervisors approved the proposal by developer and campaign contributor Rutter Santiago LP, simultaneously clearing the way for Saddle Crest and future developments by weakening or repealing longstanding rules protecting the canyons’ rural character and scenic natural resources. These rules, embodied in the 1991 Foothill Trabuco Specific Plan (FTSP), limited mass grading of hillsides and canyons, protected mature oak trees like those overhanging scenic Live Oak Canyon Road, and mandated preservation of certain open space in its natural state. At Rutter’s behest, the County supervisors repealed grading limits, allowed removal of over 150 mature oak trees on the site—some over three feet in trunk diameter—and permitted “open space” to include manufactured slopes between rows of houses. The supervisors also amended the Orange County General Plan, raising the traffic limits on Santiago Canyon Road in order to legitimize the excessive traffic from Rutter’s development, while removing grading and density limits to shoehorn in the mass-graded tract development. “This precedence clause had the potential to impact more than just the canyonlands and would essentially mean all future developments could ignore adopted planning documents, like the County General Plan. We are thankful Judge Perk understood the ramifications of this clause,” said Jean H. Watt, President of Friends of Harbors, Beaches and Parks a co-plaintiff in the suit. Judge Perk ruled that the County improperly disguised traffic impacts on Santiago Canyon Road because its environmental impact report considered only a small segment adjacent to the Rutter project out of the entire 11.8-mile route. “Bottlenecks already occur on the canyon road before the increased traffic from this project,” he wrote. The order also invalidated the FTSP and General Plan amendments as inconsistent with those plans’ goals “to manage and ‘preserve’ mature oak trees, [and] natural open space,” limit grading, and insure minimum lot sizes. Instead, “[t]he development in question reduces ‘open space’ to less than 50% and permits a ten fold increase in the amount of grading,” noted the court. This is not the first time Rutter’s plans for development in the rural canyons have been negated. In 2003, County supervisors approved 35 houses for Rutter on the Saddle Crest site as part of a larger 162-unit project that was ultimately invalidated by the Court of Appeal in Endangered Habitats League v. County of Orange for similar plan violations. The plaintiffs were represented by Ellison Folk and Edward Schexnayder of Shute, Mihaly & Weinberger. Wisely, the County accepted the Superior Court decision, but Developer Rutter filed an appeal, apparently not willing to take NO for an answer. In a unanimous June 2005 ruling, the State Court of Appeal overturned the approvals of the proposed 600-acre Trabuco Canyon developments known as SaddleCreek and SaddleCrest – a great victory for the environment. The appellate court ordered that the Orange County Board of Supervisors vacate its approvals of the project and the accompanying amendment to the Foothill/Trabuco Specific Plan (FTSP), which was in effect a developer’s wish-list. The FTSP was adopted in 1991 to preserve the rural character of the area and to provide a buffer between urban development and the Cleveland National Forest. Yet, the specific plan amendment approved especially for this project loosened environmental protections to allow the developer to destroy 500-1000 oak and sycamore trees and mass-grade to make room for the 162-unit housing development. In addition, the amendment changed the words “natural open space” to “permanent open space,” allowing the developer to grade and disturb pristine land that should have been left natural and untouched. The area’s biological value has been federally recognized: in 2004, the government granted $3 million to support acquisition of the property noting its critical habitat and movement corridor for the threatened coastal California gnatcatcher, large mammals, and other wildlife within this region of Orange County. The appeal was filed by Sierra Club (spearheaded by the Saddleback Canyons Task Force), Endangered Habitats League, California Native Plant Society, Rural Canyons Conservation Fund, California Oak Foundation, Sea & Sage Audubon Society, and Ray Chandos, after a ruling last year in which the lower court gave broad deference to the County Board of Supervisors’ 2003 approval of the project. The appellate court stated that the project and its specific plan amendment were inconsistent with the County’s general plan, that the amendment gave the developer “an unacceptable freebie,” that the environmental impact report was inadequate, and that the project would cause impermissible increases in traffic on Santiago Canyon Road, the scenic rural canyon connector between the Saddleback Valley and the City of Orange. 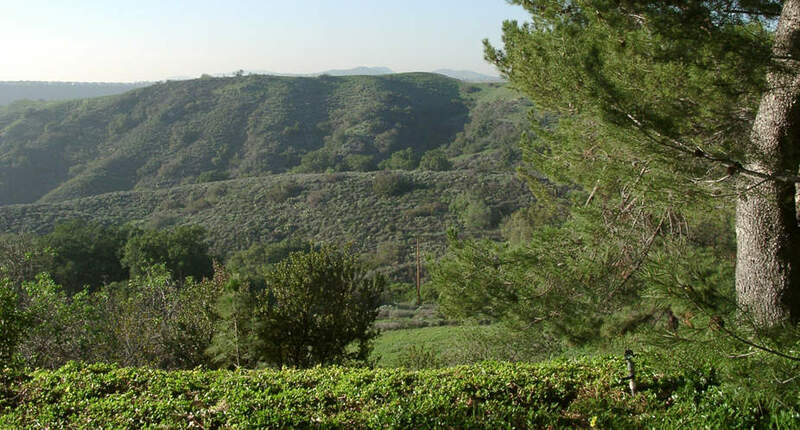 The Saddleback Canyons Task Force is focused on protecting and preserving southeast Orange County’s rural canyon areas - Trabuco, Modjeska, and Silverado – and upholding the integrity of the specific plans for the areas. As gateways to the national forest, these canyons provide the great “nature nearby” to all county residents. The canyons are home to the 3,100-acre O’Neill Regional Park, the Tucker Wildlife Sanctuary, and Vedanta Society monastery, a peaceful sanctuary open to the public, and are known for hiking and other recreational opportunities, historic Cook’s Corner landmark, and the beautiful oak tree canopy ride through Live Oak Canyon. On December 16, 2014, attorneys for Saddleback Canyons Conservancy, Rural Canyons Conservation Fund, Friends of Harbors, Beaches and Parks, National Audubon Society, and California Native Plant Society were in the Court of Appeal in Santa Ana to defend our SaddleCrest win against Rutter's appeal. The County is not part of the appeal and made no appearance. A panel of three justices heard oral arguments from both sides and then took the matter under submission. They have 90 days to issue their opinion. Our attorneys did a fine job expressing all that is wrong with SaddleCrest and the plan amendments and why last year's Superior Court ruling should be upheld. SCC appreciates the supporters who came out to help fill the court room. Your presence was important. Please keep fingers crossed that the justices will rule in our favor. This lawsuit is crucial for protection of the environment, the rural canyons, the Foothill/Trabuco Specific Plan, specific plans in general, and quality of life in Orange County. Donations to FHBP are tax-deductible in accordance with IRS regulations. Please consider making a contribution to this worthy cause.